Velvet ribbons, shiny barrettes and bun cuffs? Been there, done that. 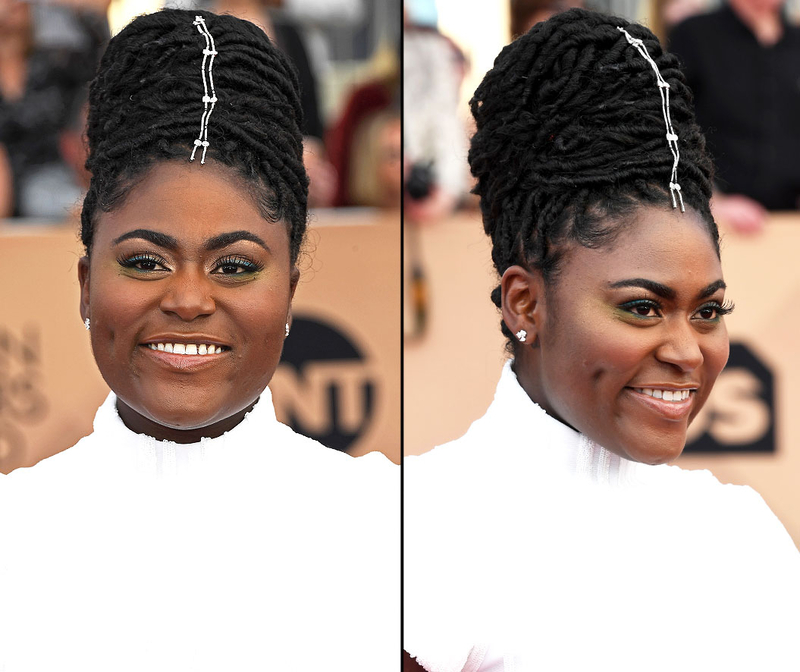 As soon as Danielle Brooks stepped onto the 2017 SAG Awards red carpet on Sunday, January 29, we couldn’t take our eyes off — or stop thinking about — her hair jewelry. 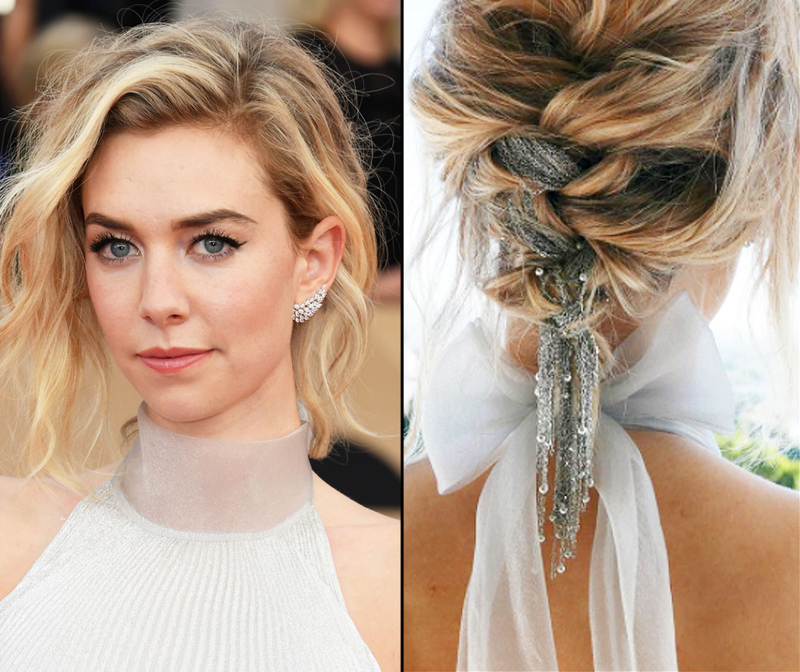 Millie Bobby Brown, Janelle Monae and Vanessa Kirby quickly followed suit with their own bejeweled tresses, and thus began our quest to ID each and every single piece of bling. Read on for more! "I have faux locks in, so I wanted to still look regal and for it to not look like too much going on,” the Orange Is the New Black actress tells Stylish. "So my amazing hairstylist Tish Celestine created this. She took 11 hours to actually do the faux locks, and then we put this piece, which is probably worth over $50,000, from Gabriel & Co. into my hair. Please, nobody rob me because I really don’t have time for that!" The Stranger Things nominee wore Jennifer Behr’s crystal-encrusted Rosita choker as a headband to complement her custom Giorgio Armani gown. 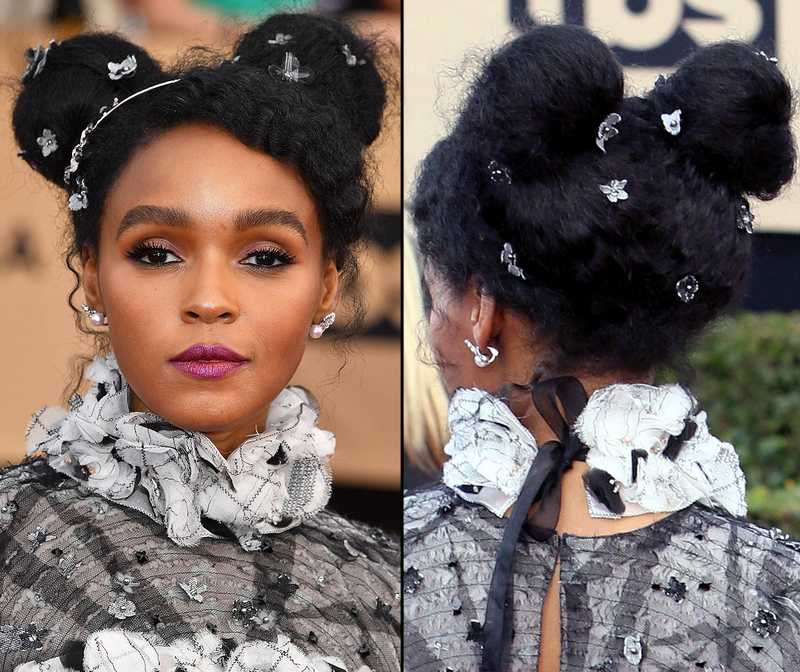 Scattered fabric flowers and Chanel Fine Jewelry’s $45,000 Camélia Galbé headband in 18-karat white gold, black ceramic and diamonds adorned the Hidden Figures and Moonlight star’s double-bun ’do. Pro Adir Abergel used the Liquid Silver Chain Comb from his hair accessories collection with Lelet NY (out next month) on The Crown’s Princess Margaret.